Grand Hotel: Why Not Put All Your Eggs in One Basket? The 1932 movie ‘Grand Hotel’ is set in Berlin between the wars. It begins with an overhead shot of switchboard operators busily connecting calls. We cut to a series of hotel staff and guests on the phone: a Head Porter is worried about his wife who is giving birth at a local clinic; an industrialist plans a merger which he needs to go through to keep his business afloat; a maid announces that her Prima Ballerina mistress will not dance today as she is tired and overwrought; an aristocrat short of money is plotting; an ordinary fellow has only a few weeks to live. And so we are introduced with elegant brevity to a range of personal stories that will intertwine and evolve as the plot unfolds. It had been the convention for Hollywood studios to release films that featured just one or two stars. They wanted to prompt audiences to pay separate admission to see their favourite actors appearing across a range of titles. With ‘Grand Hotel’ MGM chief Irving Thalberg determined to feature five A-list stars in one movie: Greta Garbo, Joan Crawford, the brothers John and Lionel Barrymore, and Wallace Beery. Inevitably the production attracted a great deal of publicity. MGM promoted it as ‘the greatest cast ever assembled’ and gave it a spectacular Hollywood premiere. With its phenomenal line-up, lavish setting and romantic narrative, ‘Grand Hotel’ resonated with audiences that were reeling from the onset of the Depression. The movie gained notoriety for featuring Greta Garbo’s melancholy line,‘I want to be alone.’ And it quickly attracted parodies. It became one of the highest grossing films in studio history. 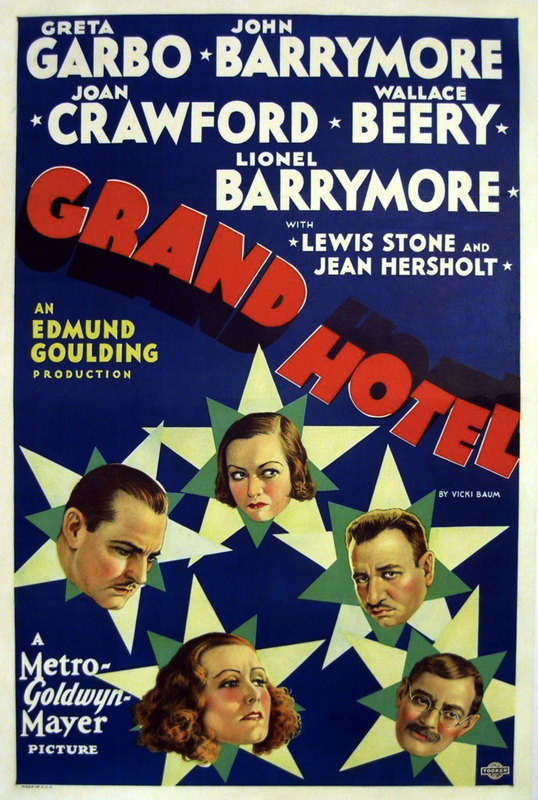 ‘Grand Hotel’ was the first all-star movie vehicle. And it established a model for gilt-edged ensemble casting that was followed right up to the modern era by the likes of ‘Murder on the Orient Express’, ‘Gosford Park’ and ‘Oceans Eleven’. In business we are accustomed to the principle of spreading risk; of distributing exposure across a range of categories and markets. But sometimes it pays to consolidate our efforts. The nineteenth century tycoon Cornelius Vanderbilt initially acquired his wealth in steamboats. But when he saw the rise of the train, he divested from shipping and bet his whole fortune on the railroad. He became the richest man in America. John Rockefeller built Standard Oil by processing petroleum for kerosene used in lamps. When electricity began to eclipse kerosene in the domestic lighting sector, he could have diversified into the new technology. Instead Rockefeller concentrated his efforts on refining oil for gasoline in the emergent car market. Sometimes the opportunity is such that it merits focus and weight, our full and undivided attention. Sometimes it pays to consolidate and concentrate; to focus on the biggest opportunity; to put all your best eggs in the one most promising basket.